PHP is a server-side scripting language that is used heavily in the World Wide Web, as well as a general-purpose programming language. PHP is a part of the LAMP Stack . PHP is an extremely flexible programming language and is easy to get started using out of the box. For example, Facebook got started using PHP. It is a great language for getting your software to market fast. Laravel is a powerful PHP framework that helps developers to write PHP beautifully. It has all of the object-oriented best-practices baked in to make sure that your code is easier to write, test, and scale. PHP is a very popular language and is used by a majority of websites. If you are looking for a high paying job as a developer, PHP is a great skill to have. 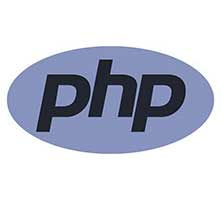 Code Immersives offers extensive PHP training in our Web Development Immersive Course . Get all of the comprehensive, hands-on training you need to be a successful PHP developer with Code Immersives.